In one of those strange twists, you can all raise a glass of champagne as you read this, my 1000th post on my blog! To honour it, I’ll draw an extra winner of my giveaway from entries made up to 8 am Saturday London time (midnight Friday in California). Thanks, Patricia! It kind of creeps up on you! I love these little flash-fiction tidbits! What a fun sci-fi story. Yeah – it sounds glorious – but monoculture is not necessarily a good thing 😉 Thanks for visiting, Kathy! If there’s a planet noted for its champagne, I’m booking passage today! Congrats on that milestone! And here’s to many more delicious posts. Congratulations on your 1000th blog post, Jemima. 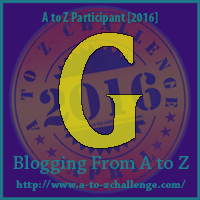 I’m enjoying your A-Z world building challenge this year. Learning about the Imperium and the Federation are essential when dealing with The Viridian System series. Finished the Viridian System short stories last night (will post a review today). As soon as I figure out my new phone and read the 400 page user’s guide *wail* I’ll read The Perihelix. Frankly, battling alien overlords is small fry compared to choosing a ring tone I can live with and relearning how to text on this smarter-than-I-am phone. Good luck with your new phone! Congratulations on your 1000th post! That’s a champagne-worthy milestone, for sure. Interesting story; could there be a champagne war in the offing? Thanks Debbie – and you never know with my characters! FYI: Posted a 5-star review on Smashwords for the Viridian System short stories collection this afternoon. Congrats on your 1000th post. Great story; really like the idea of a planet dedicated to champagne-making 🙂 Good luck with the rest of the AtoZchallenge. Finally getting caught up here. Nice story. As a fan of the Viridian System, I’m pleased to get some more insights into Kaa Birith. The French might have something to say about any wine from anywhere else calling itself champagne! Champagne is a protected name under EU rules. By the time the Viridian Series is out, the EU is long gone. It’s given both the Viridian System and Bravo Victor some inspiration for their trading regimes, though!